It’s that time of year again – Spring Cleaning! Yay! 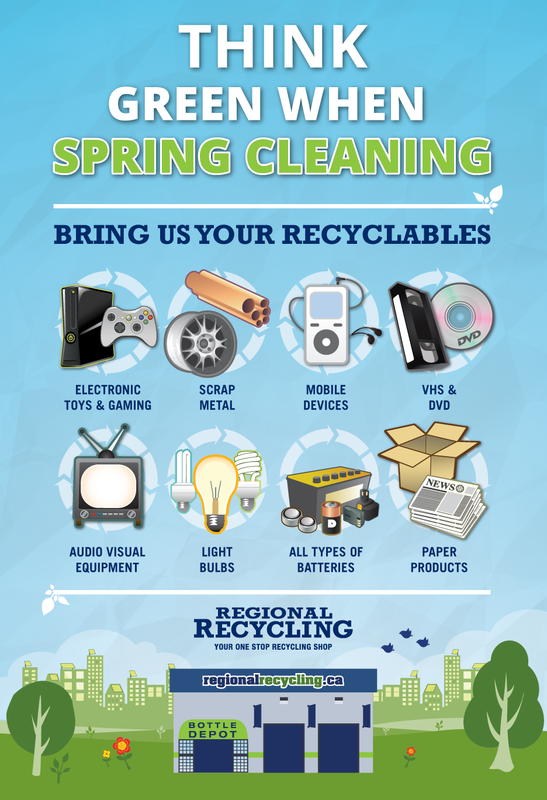 This year we thought we would talk about how to Spring Clean with recycling in mind. These days many of us have hectic lives that mean less time available for doing large tasks like Spring Cleaning on our own, so we thought we’d compile some helpful hints on how to do it more quickly, or where to get help to recycle items in your home. To see more helpful hints, please one of our previous year’s post: 8 Spring Cleaning ideas to de-clutter your home. Bottle drives are a great way for community organizations to raise money for their cause, and many of us have a lot of beverage containers that we could donate, making this a huge win for everyone. Instead of tossing your empty beverage containers into recycling bins where the refund amount goes to support unknown causes, donate them! If there is no local bottle drive when you would like to donate your empties you can bring them to us for donation. Every month each of our Regional Recycling locations provides our customers with the opportunity to donate their empties to a good cause, whether it’s for a child battling cancer or a support home’s capital campaign. 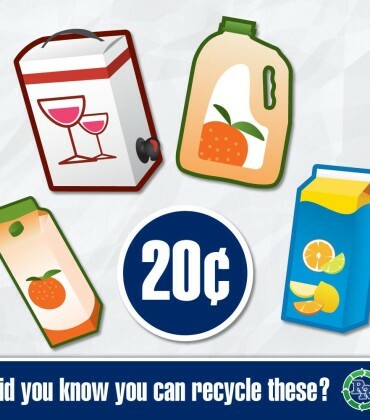 And, if you can’t get to us, but want to have your empties go to a good cause, why not leave them out for a binner – those folks who make their living by keeping recyclables out of the waste stream. Check out this blog on the Binners Hook. We handle only end-of-life electronic/electric products, which means non-functioning electronics products and those that are beyond repair, so bring them down for safe handling. If your item still works and could be used again, but you’re just looking to get rid of it, we highly recommend donating it to your favorite charity or community group like Free Geek Vancouver. If you have more than 2 pallets, you may qualify for a free commercial pickup from Regional Recycling. We assist institutions as well as commercial and industrial businesses with efficient and convenient recycling services. Some examples include hotels, restaurants, and schools. To find out more about our large-scale commercial pick up services, please contact us toll-free (855) 701-7171. If you are like me you collect paper & packaging. My habit pre-dates any environmental concerns, I was raised by a grandmother who could pinch pennies until they screamed. This has served me well as I have become a much more environmentally conscious person. I save all types of paper to reuse, and when it has breathed its last useful breath I recycle it. Recycling Paper & Packaging is relatively easy these days with blue box programs in most residential-multi units and in residential neighborhoods making recycling these items easy. If you do not have a blue box paper recycling program, please bring your paper recycling to us with the rest of your recycling. By this point in our lives, one would expect that many of us are already recycling metal and glass containers. 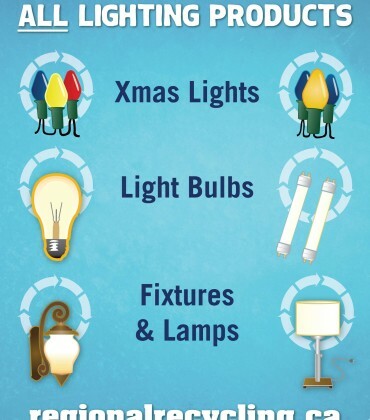 Again the blue box program makes it easy for most of us to be able to recycle these items with relative ease. And, if that doesn’t work for you, please bring these (cleaned) containers to us if you live in Nanaimo! If you live in the Lower Mainland and would like to recycle your metal & glass containers, please see the information on Recycling in BC to see what can be recycled where and for information on what can be recycled at depot vs blue box.